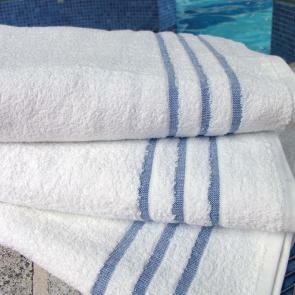 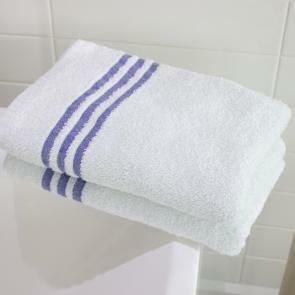 Our everyday range of Leisure towels are carefully created using a superior polycotton blend. 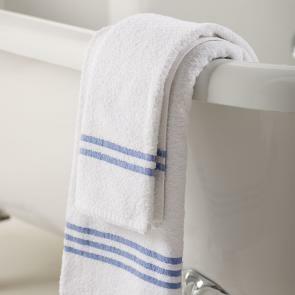 Easy to launder and known for its easy care properties, the towel range features an attractive blue border for easy identification and is perfect for use in a range of leisure facilities. 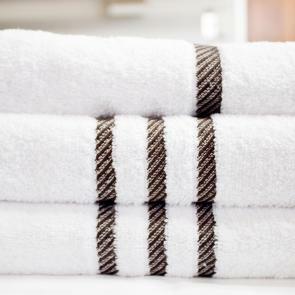 An attractive alternative to white towels, the 420gsm Leisure towel collection is sure to create an eye-catching addition to your establishment whilst providing your guests with a comfort and softness unmatched by many other leisure towels.